Many years ago I bought a camera in a shop in central Stockholm. It was back then when digital cameras was something only used in spy shows on TV. The shop I was a regular customer at was owned by a old man. He collected old cameras and was very kind, he had many regular customers that just went there to talk and look at cameras, new and old. On the shelf behind the counter was his collection of old and obscure cameras and photo equipment, it was cameras from 1890’s up to 1950’s. All covered with a thick layer of dust. But in the window facing the street he had two separate displays. One display was with modern cameras and lenses of all the best brands. The newest gear and gadgets. But the other display was with top end vintage cameras. There was Leica M2 and M3’s standing along with Hasselblad 500/CM and 500/EL cameras, lenses and bodies. Vintage Nikon F cameras with all lenses and accessories. It was in that shop where I bought my Leica M2, that I used very much and regrettably sold many years later. There where also Rollei cameras on display, Rolleiflex and Rolleicord of all models. After using my fathers old Rolleicord for some time I decided that I would like to have my own camera. After all if I was to drop or damage my fathers camera it would be a great shame. So, after looking and trying some of the cameras he had on display I decided to buy a Rolleiflex 3,5 series with Tessar lens (a bit cheaper than the more expensive Planar version). The camera in my hands was made back in 1955 or so, so it was a used camera but still in great condition for a old camera. I got it with some filters and a lens-hood “on the house” from the old shop owner. I think he was happy that a young person was buying the camera for using and not because it was a cool gadget. Today that shop is gone. Even the building it was located in is gone. 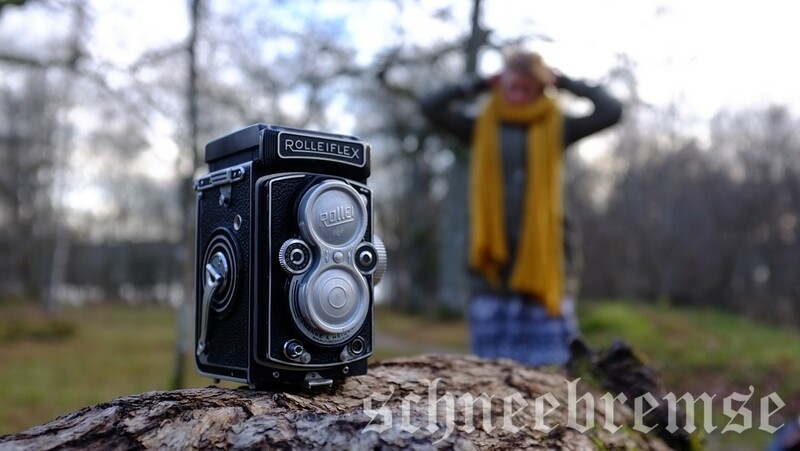 I used the Rolleiflex a lot! Since I developed the film myself and made photo copies in the bathroom I could buy really large boxes of 120 film at a good price. After using these old manual cameras I learned to measure the light without any light meter. It was fun to take photos, looking for good angles. Reading old books from 1950’s on “how to learn photography” and so on. I shoot many great photos back then with all kinds of motives. There was many really bad ones to, as it should be when learning and developing you skills. There was one former photographer that once told me “if one image is good on a entire roll of film. Then it was a good session”. That is the kind of quotes that stayed with me, even today I remember that and takes photos like that. But with a digital camera and a memory card that holds 300 photos it is a bit more than one good photo ratio. But it actually makes sense. Not every photo turns out good. But it also is a practise thing. After a while the bad photos are getting fewer and fewer. The good ones starts to pop up more and more. You train your eye to “see” a photo. When you know the camera you are using, how it works and how it behaves. Then you might get along well. Some cameras are a real pain of some reasons. You do not get along at all. The camera is not your friend. The best is when the camera becomes a part of your senses and you feel connected. Back to the Rolleiflex 3.5. I used it a lot but there was a friend at my work, that also used a Rolleiflex for that great middle format photos. But his Rolleiflex was older than mine and bit more worn. We talked about them and it all ended up with me selling mine to him. He was very happy with it, it was more modern than his old one. During the following years he took it around on different locations and was taking really great photos. For example he was in the northern parts of Sweden and shoot some really nice nature/landscape views. He also brought it to New York and got some classic black and white photos of “the big apple”. But with the introduction of the digital cameras, the old camera was used less and less. Earlier this year he decided to sell his old analogue camera gear that he did not had any use for anymore. One day he asked me if I would like to buy back my old Rolleiflex that he had been using for all these years. I was reminded of the old camera that I had almost forgot about. So, I replied yes of course. I would buy it back since he was not using it any more, for me it would be a great item to have. But also to use again. In short, about 15 years later I got back my first own middle format camera. The same camera I bought for the money I determinately saved from work. With the lens covers, lens-hood and filters. Just as when I used it. I remembered when I was getting some covers for the lenses and not finding the original Rolleiflex. So I used a Rolleicord cover instead. It looks great, but it fits not so great. But it a classy look with that metal cover. Even when taking the smart phone and taking a photo in the view finder of the old Rolleiflex creates great photos. 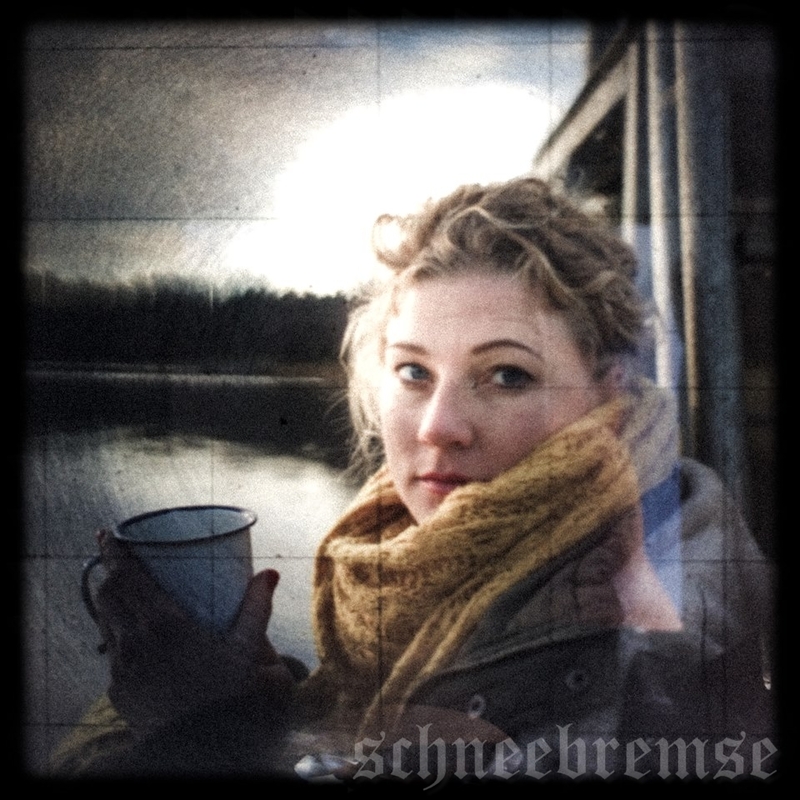 So, look here all you Lomo users, smart phone filter lovers and Instagram users. This must be the original vintage filter look. It is fun and at the same time a cool look, yet so simple to create. It is time for part 4 in my series about cameras and bicycles. After using old analogue cameras at the bicycle photo session. I started to use my main camera since 2 years back. The first version of the Fujifilm X100. The X100 was introduced in 2010 at the Photokina show in September 2010 and become a huge success, both because of the amazing image quality. But also because it was one of the first “retro” cameras that combined a modern thinkiong with a stylish design. But they started to make the camera in larger series first in 2011. I got mine from England in early 2012, it came in a great looking box with original strap, some cables, charger for the battery and so on, of course the camera itself was included. Now, why did I choose this camera? There are other cameras out there that are equally good or better, more “camera” cameras, with changeable lenses and all that extra everything. 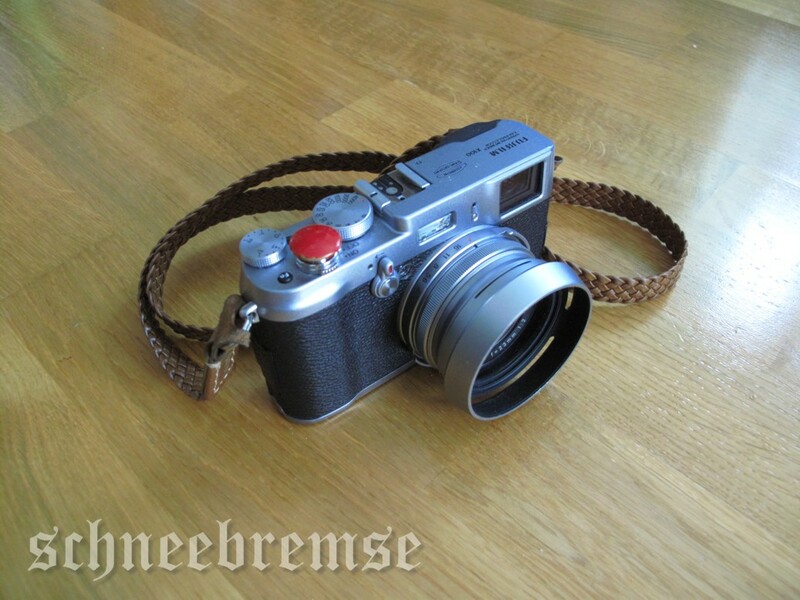 For me first of all, the X100 has a fixed prime lens (digital 23mm, that equals to about 35mm in the AOV system). So there is no zoom or anything like that. Second it uses the range finder system. That is when you are taking a photo, you are not looking at the object via the lens. But there is a separate window where you need to adjust the focus in and can compose the image in. It is just like my old Leica M camera, and other earlier 135 small frame cameras (including the Zorki 4K ). The X100 has a unique feature of being able to mix the view finders real optical vision with a electronic information/frame that also creates a frame for the image, just like old the Leica. So you get all information of the digital camera, but you see the objects in real. Like a heads up display on fighter planes. 2, pure digital on the screen that pops up in the view finder when flicking the lever on the front of the camera. The extra screen shows the image that the information from the lens gives it also adds the histogram and , just like the regular back display on a digital camera battery status and remaining space on the memory card. With that view you see exactly what you get when pressing the release button. There is settings for different classical Fujifilm films programmed into the camera. You can choose normal, black and white, different versions of Fuji colour films. For example I have always used the settings in digital cameras that gave me more richness in the colours. In the X100 settings there is an option to simulate the “Velvia” film that Fujifilm developed as an alternative to Kodaks Kodachrome 25 film back in the 1990’s. With this setting the colours are becoming richer and there is more power in the photos. To be honest I am not a big fan of pre-production/editing of photos. Once there was a famous photographer that once said that” he crops the photo in the view finder instead of cropping the photo in the development process”. That quote got stuck with me since I started to take photos and I always tries to take photos like that. What I see, is what I want the image to look like. With the possibility of different colour settings in the camera I most rarely need to adjust the colour tones in the post production. I only edits the photos when I want a black and white photo. Then I convert the image to black and white, raise the contrast quite a bit. Just to get the feel of grainy b/w photos. The old Kodak TRI-X feeling (witch is impossible to mimic). Back to the X100. One of the other main advantages with the camera is that the aperture and shutter speeds are placed on knobs that are just like a “real” camera. That is the shutter speed is set with a knob beside the shutter release button. The aperture are set with a ring on the lens, like a real camera. I can very easily choose the settings as I like them and also change then in a quick manner. Both on the aperture and the shutter settings there is an “A” mode, so I do not have to think as much. Of course there is also the other digital advantages like menus, settings and a digital display on the back of the camera. But for me that have been using a Leica M camera for many years, I used a Pentax SLR camera for a short period. But I used mainly the range finder cameras Leica, Zorki and others. I am used to how they works and all that. It feels comfortable for me. I remember when using the X100 for the first time, realizing that the zoom is in your feet again. The way I had to bend my knees and crawl on the floor to get the image I wanted. It was just like the olden days, except my knees hurts now, must be of not using them. It can’t be the age showing? It was a way of taking photos that I had forgotten, but quickly got back to. Sometimes I wish there was a possibility to change lenses. Or even be able to fit my old Russian lenses on the camera, it would be fun. But a classical 35 mm lens is good for so many different things, portraits, landscape, everyday life. I like the X100 very much, but there is a X100s out there that is even better so I heard. It even got the old focusing prism style range finder so I am told. Did I mention that you can focus by turning on the focusing ring on the X100 lens? It is a great camera! One of the huge advantages with an digital camera is the storage for the photos. As I mentioned the the 2 earlier parts in the series. The Kodak box had space for 8 photos on one roll of 120 film. The Rolliecord had 12 photos on the same type of film. The digital camera uses a memory card, if you use one with 8 GB space and the settings on the camera are set to medium image quality. Then you can fit 4000 images or there about. There is no need to look at every photo you take, just fire away. Take 3-4 photos more than just one, then save all. You never know when you are going back and looking at the ones that was bad at first look, they might be really good at a second look or when looking at them in the computer. That brings us to the second huge advantage, that is the possibility to look at the images at once. Just press the play button to watch what you just took a photo of. Perhaps when having a photo session with a model, you can show the model straight away the look and your visions of how the result would be. After all, the model never knows what you “see”. With a digital camera you can show in a easy way. So the model understands you and can help you to get that perfect image that all photographers are searching for. The “old” look of the Fujifilm X100 is very genuine, especially after I added an twinned leather strap and my soft release button (the big red dot on the top fo the camera). Also on the top you can see the shutter speed selector know, there is a compensation knob to. That ones allows you to force the camera to create darker or lighter photos. Back in the old days you had to calculate that by yourself. On the front of the camera is the lens and a small lever. That lever controls the digital display in the view finder. But it looks like a old rewind lever. On the back there is buttons for the digital menus and an large display. As an option I bought an UV filter so the lens would be protected against dust and fingerprints. I do not want to cereate scratches on teh lens, so I have always used UV filters. Some say that using a filter like that is distorting the image. If it does, I do not know. But I am not selling my photos, so for me it is no big difference. Then I bought an lens hood. That is one more thing that I always have used, also to prevent scratches and accidental damages to the lens. 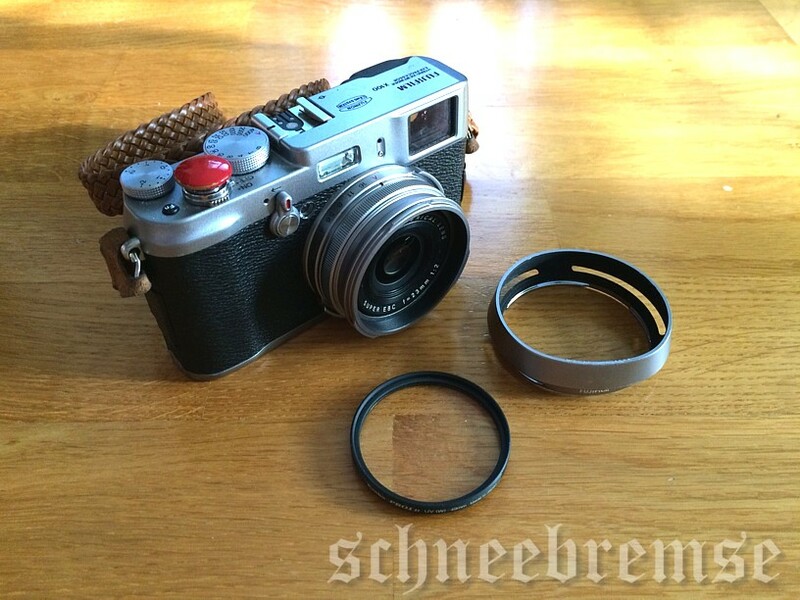 The camera looks way more cooler too with a lens hood…. After using the vintage cameras I brought out the X100 camera out of the back. The girl was standing by the bicycle waiting. The camera was set to auto on everything. Now there is a silly thing with the camera. I think it is because of a thing I heard a while ago. In Japan it is illegal to take photos with out a shutter sound. So in the menu of the camera there is an option of 3 different settings of shutter sounds. It is not the shutter itself that makes a sound. It is a pre-recorded sound than mimics a shutter. So there are three sounds, all slightly different. “click”, “clock”and “clack” sort of. Very strange. Since the digital camera has no shutter in that way. The only sounds you can hear with taking a photo is the silent whisper when the aperture sets. But it is so silent it is silly, I think a flies cough is louder. Anyway, I started it up, looked in the view finder and composed the image and pressed the release button. “click”, or something like that.